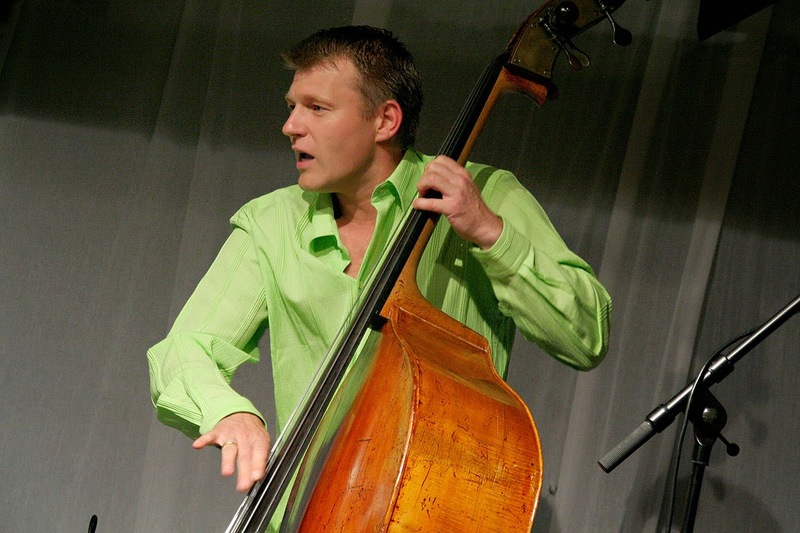 The bassist Martin Wind has established himself as a first call sideman since coming to the United States from his native Germany in 1996. At NYU he studied arranging and composition with KennyWerner, Mike Holober, John Clayton and Jim McNeeley, whom he credits as great influences. Having worked extensively as a classical musician, Wind has exceptional sight reading skills, an impeccable arco technique and great intonation making him an in demand sessions player. He is also a dedicated educator, teaching master classes and ensembles at both NYU and Hofstra over the last twenty years. Wind's music has has run the gamut. A lifelong collaboration with his best friend and fellowFlensburg, native, the guitarist Ulf Meyer, has produced over six albums since 1993. An enduring collaboration with the pianist/composer Bill Mays has led to at least five albums using different group iterations. Wind has toured with Matt Wilson’s Arts and Crafts Quartet promoting Wilson's release An Attitude for Gratitude. I was fortunate to catch this group at Dizzy’s last year and I was taken by the easy swing and seamless rapport that Wilson and Wind had on the bandstand. Wind credits Wilson for “being so instrumental in the search of my own voice…” Wind has led his own quartets for the last several years and recently he has been working with the iconic seventy-one year old Belgian guitarist Philip Catherine, a duo that recorded the album Duo Arts, New Folks and he will soon be doing a second album with the iconic guitarist. Perhaps the bassist’s most ambitious project to date has been his soon to be released Turn Out the Stars, a collection of songs inspired or written by the great pianist Bill Evans. Written and arranged for orchestra by Wind, the album features Wind’s quartet and the Italian Orchestra Filarmonica Marchigiana under the direction of Massimo Morganti. The album is a sumptuous treat, a seamless combination of swinging ensemble and lush orchestration work. Three of the songs’ “Turn Out the Stars,” “Twelve Tone Tune Two” and the cinematically sweeping treatment of “Blue and Green” are all Evan’s originals. The Henry Mancini song “Days of Wine and Roses” and the Victor Young composition “My Foolish Heart” were both made famous by Evan’s timeless treatments. Scott Robinson ‘s” Jeremy” Don Friedman’s “Memory of Scottie,” Phil Woods “Goodbye Mr. Evans” and Joe LaBarbera’s dedication to his former associate“Kind of Bill” round out the music. The players are all in top form and the music glistens with love, respect and a deep sense of connection. In preparation for this interview I had asked Wind to send me some of his music. Music that he felt was representative of his work and that he was proud of. NOJ: I enjoyed the selection of music that you sent to me.They included “Rainy River" from Get It: "Remember October 13th (tribute to Ray Brown)" from Theresia with the Jazz Baltica Jubilee Ensemble; "Fjord Skies”with Ulf Meyer from the album of the same name and "Blue and Green" from you latest Turn out the Stars all were really beautiful. MW: Thank you. You know I didn't spend hours on this; it was like, alright what is it I have in my computer that I can send out to you… I think it really represents all the different elements that are part of who I am as a musician and all the different styles that have influenced me. Really, coming out of the Ray Brown school of playing with this groove and swing, but then a lot coming from playing ... for all those years with that willingness to break free from all that and play free. I really love film music; I see movies or things go by as I write. Theater music like “Rainy River” and like “Blue and Green”. You know “Blue and Green” is a ten bar song. There is not really all that much there… I mean it’s fantastic, it’s one of the greatest songs ever written, but to write the arrangement for Turn out the Stars was much easier because the song gives you so much already. It’s a really long form and you play the song twice or three times and you have a a five and a half minute arrangement. But “Blue and Green” takes about twenty three seconds and then you’re through once. So I really felt that to derive all that new material I was just really pleased with how it came out. NOJ: You grew up in Flensburg, Germany? MW: Yes the most northern city in Germany. NOJ: Near the Danish border I take it? NOJ: You were born in the late sixties and you lived there through the late nineteen nineties. MW: I was born in (nineteen) sixty-eight. NOJ: What inspired you to pick up the bass? MW: It was really my high school band director. I was playing the guitar; I was dedicated but not really. It became apparent to me that that was not my voice. Then I was asked if I wanted to play electric bass in my high school big band. I thought I can give it a shot, it’s not like I’m becoming a bass player. But then that is exactly what happened. I started playing electric bass and started taking lessons with a classical teacher. Actually a classical bassist who put those classical bass etudes in front of me and my electric bass. I really needed to learn how to read music and get some decent left hand technique. He kept bothering me that I should learn a real instrument, meaning the upright bass. It was a little snobby; he didn't really consider the electric bass a real instrument. The other element that made me move to the upright bass.was that,within the high school big band, we had a trio of baritone sax, drums and piano who would play without bass because they didn't want to play with electric bass. When I started to bring the upright to our big band rehearsals they started to say oh yeah, okay now you can play with us. It was the piano player who wrote out the walking bass lines for me. We would play all Charlie Parker stuff, so that was really how I learned to play walking bass because he wrote really great lines for me. I would play those same lines over and over again. From the beginning when I started playing the upright I started playing in the high school orchestra. We had a good orchestra. So that explains how from my earliest beginnings I always played classical and jazz and funk and everything in between. NOJ: What bass players were your role models when you were growing up in Germany? 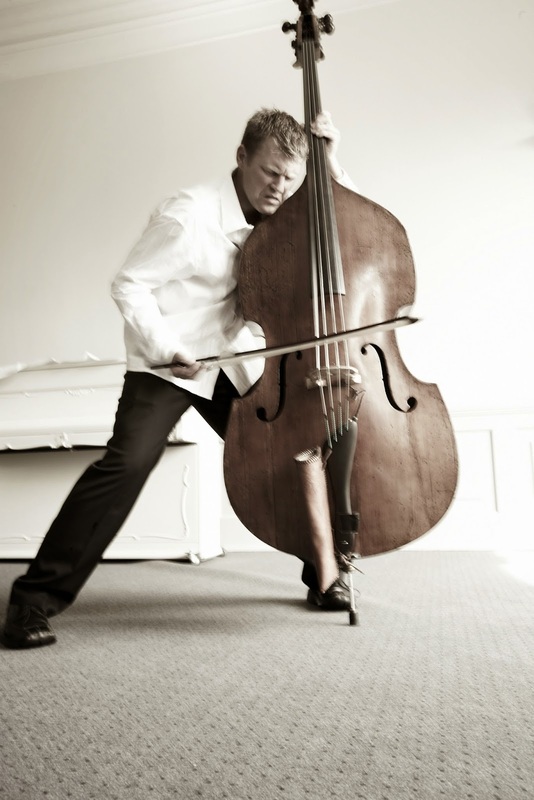 MW: My earliest influence on the upright bass was that same classical bass teacher. He was from the United States. I guess he somehow ended up staying in Germany after his military service. He was a jazz bassist who ended up playing in an orchestra and he was your typical frustrated orchestra musician, who retired early because he kept getting all kind of physical and mental ailments from being so unhappy. The first album that I really listened to that he gave me was Niels-Henning Orsted Pedersen and Philip Catherine. The great bassist from Denmark. It was unbelievable; I thought ,wow, everybody plays jazz bass like that. I had no idea how exceptional he was in his command of the instrument, in his perfect intonation. How he would play melodies on the bass, you know? He would play themes on the bass. Later on I found out, he is really unique in that sense. He was really one of the first to do that stuff. So he was one of my earliest influences ... other than electric bass players that I listened to before I started playing the upright. NOJ: You have worked with Philip Catherine recently haven’t you? It’s funny how things come around. MW: I mean, I’m telling you, when I was asked to do this recording for Act Records with him, yeah it was really for me like coming (around) full circle. It has been an amazing journey playing with Philip and hearing all those stories when he used to be playing with Niels. I’m going ... in a couple of weeks to play with him. We have another tour in October and that [project is really taking off too! NOJ: There are a few European jazz bass players that seem to have been accepted in the American jazz scene. 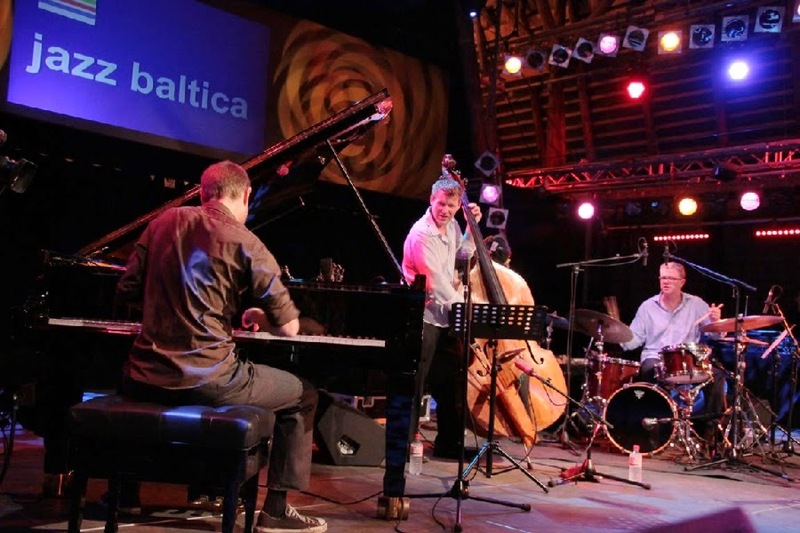 Of course Niels was, Eberhard Weber, Mirsolav Vitous, George Mraz and, Dave Holland. have all made their presence felt. Why do you think there are not more European jazz bassist active in today’s American jazz scene? MW: Hmm, that’s a good question. I mean I can think of several European bass players that are hear right now. It seems like several guys come here play for a few years and then they go back. Honestly I can only say from my own experience. When I moved to New York City, nobody had been waiting for me. I mean this is New York City, you have the greatest bass players in any style here and so if you want somebody to sound like Ron Carter, ask Ron Carter. So it took a while for me to feel I was really part of the scene and that I didn’t have to take every job that was coming my way. You know it takes five or ten years to establish yourself to the point where you feel you have carved a little place in this great scene for yourself. NOJ: Part of it is you have to want to accept being here, which is not easy, people have to establish roots here to embrace the situation. MW: Absolutely. What helped me do that was I started a family here too! At a very early point of my time here, I was still a graduate student at NYU and I found myself a father with the responsibility of a child and being a jazz bass player in New York City. It all worked out and I have two teenage sons now. I think you’re absolutely right, at a certain point it was not just the music that kept me here. Because you will have your ups and downs and when nothing (career-wise) is going on, you always have the family and a network of friends,... That was really important. NOJ: Is your wife from here? MW: Yeah, she is actually a New Yorker. She was born in Astoria Queens. She is fifty percent Greek. Of course,she said I am never going to move to New Jersey and we have been here ( in New Jersey) for eleven years now. NOJ: Let’s talk a little bit of your relationship with guitarist Ulf Meyer. You have recorded a half dozen albums with him.and by now you must have a near telepathic connection. How has this relationship expanded your own musical vision? MW: Well when I met him, you know he is ten years older than me, we were both from Flensburg. When I started playing he was the local hero. His two idols, still to this day, guitar players that have most influenced his work the most, are Pat Metheny and Philip Catherine. So both of us were listening to those duo recordings of Neils and Philip. They had a huge impact on us. Just ... how comfortable they were playing material that was not your typical jazz material. They would pick a very simple Danish folk song and play it; give it a Latin spin or whatever. That had a big influence on us and I think you can hear it on that sample “Fjord Skies” that I sent to you. NOJ: Metheny did Missouri Sky with Charlie Haden . I thought hearing you and Ulf, there was a similar type of rapport. MW: Well he is my best friend and I’ve learned a lot playing with him. I think as a bass player playing duo. That is what we have been mostly doing over the years playing duo. It was a really important experience for me, because it prepared me for my experience with Philip (Catherine) now. You know in the beginning you always think that you have to play more, because there are no drums or because there is no other harmony instruments, and it is really the opposite. The less you play, the clearer your lines are, the stronger the music will be. But that has taken me years to figure that out and Ulf was really instrumental in that. 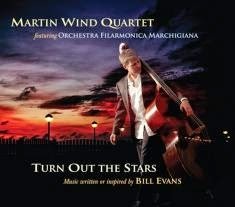 NOJ: Since your debut album Gone with the Wind from 1994, a trio date, up to and including your latest album, Turn Out the Stars, music written or inspired by Bill Evans, which was played with your quartet and a full orchestra, how do you feel your music has changed over the last twenty years? MW: I don’t know if it has changed. I am happy to report that I still listen to my old recordings. I am just happy to see the kind of growth that I went through as a musician. NOJ: Do you feel like you have become more interested in composing and arranging as you have progressed? MW: Absolutely. The writing, the composing and arranging has become a bigger and bigger part of what I am focusing on. There are many factors that helped. I studied composition and arrangement with some really wonderful teachers through NYU. With Jim McNeely and Kenny Werner being the two most important ones. And Mike Holober and Tom Bours. Every once in a while I would ask John Clayton for advice. I saw him with his big band in Europe. I went to the concert and even right before a concert John would take a half an hour and look over my orchestra charts with some suggestions, so he has been an influence for many, many years. I actually met him twenty-five years ago in July at the Port Townsend Jazz Camp in Washington in 1989. 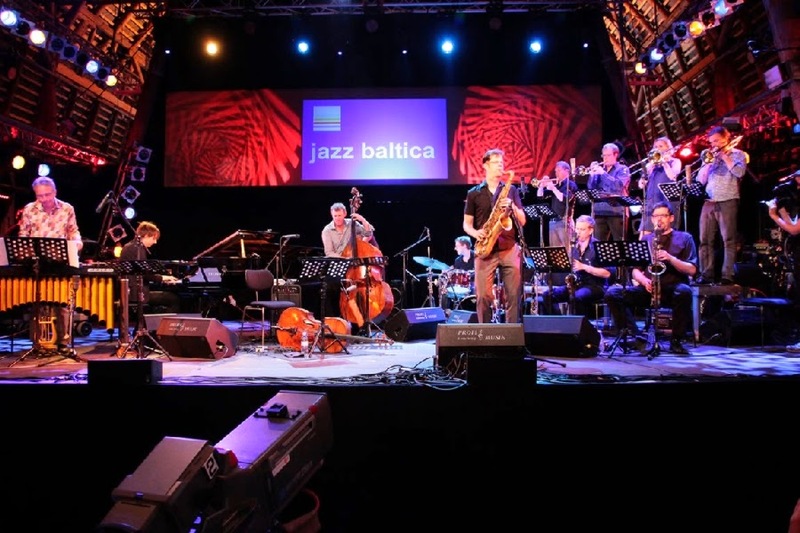 We were there as part of the National Jazz Orchestra of Germany. To me it was like not only be a good bass player but to be as perfect a musician or as well rounded a musician as possible. Which to me meant writing your own music or writing for strings or big bands. I am really happy that I was able to document all those steps over the last few years. NOJ: Your music has been described in reviews as being romantic, lyrical, sensitive and even contemplative. Are these fair descriptions of how you see your music? MW: They are certainly one side of who I think I am. The other side is the groove element, there is nothing like playing with a great rhythm section, playing with a drummer that you really have a hook-up with and create a sound with. A piano player like Kenny Barron it seems like riding a Rolls Royce or something like that. I always had that, but I think as a result of my classical background, having played Mahler symphonies and Brahms and Tchaikovsky and Prokofiev and all those great composers, that is a big reason why I have that lyrical, romantic side to my music world as well. I absolutely live with that, I don’t have a problem with being called a romantic dinosaur or whatever. Is it something that should go out of style? I don’t think so. NOJ: How difficult is it to write for an orchestra with so many disparate voices as you have done on Turn Out the Stars? MW: I think because I spent literally years as a classical bassist in Cologne and all the other youth orchestras that I played with, I must have spent hundreds if not thousands of hours playing in symphony orchestras. So I think being a string player myself, I had a pretty good sense of how to write for strings. What I really had to learn was how you write for woodwind section. How do woodwinds work and how does a brass section work and then how do you write for percussion and how do you write for harp? So those are the kinds of things that I had to study. I would go to the NYU library and take out scores and orchestration books, and one of the really important tools is the music notation software that I was using. What was so helpful was I would study, I would listen to scores, I would listen to symphonies and take ideas to my arrangements, and then listen back to what I had written on my notation software. I just don’t have the kind of experience that a Johnny Mandel has or a John Clayton has. To put some stuff on paper with a pen. Guys like that hear what they write. I don’t know if I would be able to accomplish what I did without the help of the Sibelius notation software. NOJ: Nicole Mitchell once told me she can hear all the voices in their head and she has to get them down on paper. Is it like that for you or is it a more mechanical process for you? MW: I play the piano a little though I am really not a piano player. I hear really well in the horizontal sense in the linear sense and so if I hear a line or write a line for say a flute player or an oboe. I have a pretty good sense of what that sounds like. But going from top to bottom, if I have to envision what a big chord that is being played by a whole section, that is the kind of stuff, that I wasn't as good at. The feeling for the different colors that you get when you mix and match different instruments. It was a beautiful experience, I loved it, it was like I was going back to school but there were no teachers. The score and the great composers were my teachers there. NOJ: Who do you credit as your biggest inspiration in composing and arranging? MW: You are not talking about in the classical world but in general? MW: I can tell you who some of my favorite composers are and I think just having played their music for so long has been the greatest learning experience. I mean there is no way around Bach. That is Bach with a "gh" and not with "ck" like people pronounce him here. Arguably the greatest composer ever to walk the face of the earth. I played so much of his music and I still do every day, I think he has been a really great influence. Probably one of my favorite composers of the twentieth century is Prokofiev because I had the experience of playing some of his music with Rostropovitsch when I was a student and that really gave me an inside look. He actually knew Prokofiev, so he would tell us how Prokofiev would want to have his music interpreted. That was an amazing experience. The man that wrote the liner notes to the new album, Turn Out The Stars, Jim McNeely; I have had the pleasure of working with him in his trio- although he really doesn't play enough because he is so busy writing. I played a tour with his ten piece group when he released an album called Group Therapy, a fantastic recording. I have been playing with the Vanguard band off and on. To me Jim is the greatest big band writer of our present (time), along with Maria (Schneider) and Vince Mendoza. He was a really big influence. He also taught probably the best college course I ever attended, which was called “The Jazz Orchestra.,” so he is an influence. I think that Vince Mendoza is a phenomenal arranger. 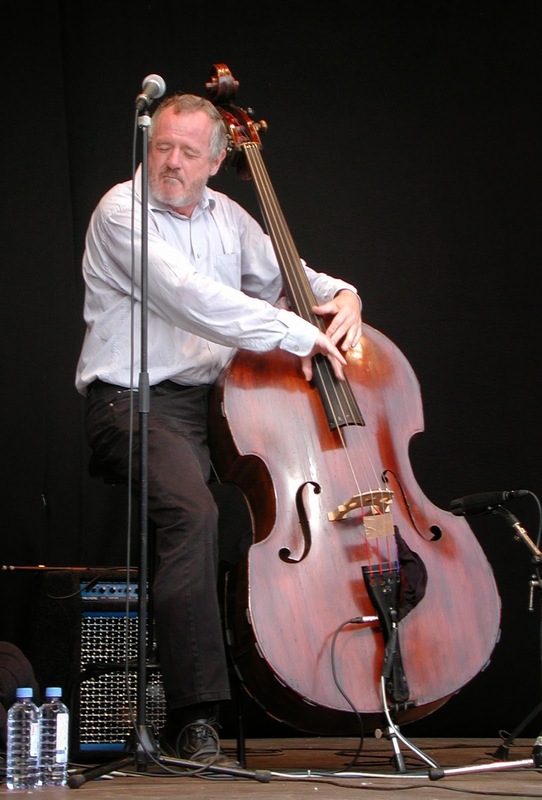 NOJ: Jim McNeely is the current arranger/conductor of the Village Vanguard Jazz orchestra? MW: Yes. What we play there is say seventy-five percent Thad’s( Jones) music, there is a lot of (Bob) Brookmeyer’s music, but probably more of Jim McNeely’s work than Brookmeyer’s. He is probably the second most prominent composer in their book. I never lose track, I just hear his roots. He is not afraid of writing music that swings. You say to your sometimes that “oh my God he is still writing in four- four time.” But it can still be current, it can still be modern, it can still be music from today, why can’t it not swing anymore? That is what I love about Matt’s (Wilson) bands, you know he is not afraid to do that, to swing. You can still be free and go in all kinds of directions and be hip and modern and all that. So that is something that I really like about Jim and Matt. I think Pat Metheny is a wonderful composer. I always liked the cinematic qualities of his compositions and I also liked the music he writes for his group and not only the straight ahead stuff. I also associate with the Americana, lyrical approach, so they all had an influence on my writing and arranging. Part Two of my Interview with Martin Wind will be posted next week. Martin Wind will be bringing his quartet , with Scott Robinson, Joe LaBarbera and Bill Mays at the piano chair, as Mr. Cunliffe is on tour, to the Kitano on May 30th and 31st for the New York debut of the album’s material and on June 1, at Bernard’s in Ridgefield , CT. Mr. Wind is working on being able to perform his Evans’ project with full orchestra in the United States sometime in the near future. GREAT interview, Ralph and Martin!